Advanced intermediate and above skill level. Helmet required. A 5-week terrain park lesson program just for girls! 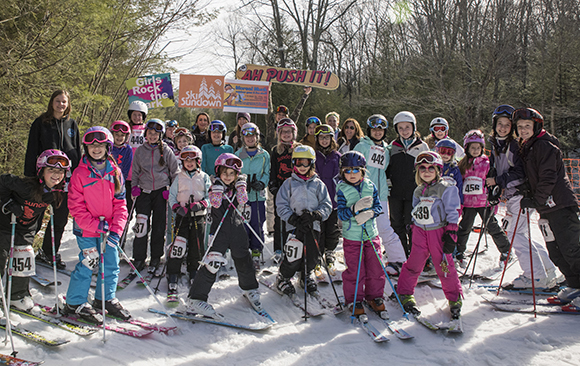 The environment will be encouraging, empowering, and fun, and is designed to make girls feel more comfortable and equipped to enjoy the thrill that park skiing/riding offers. The goal of this program is to develop a safe and confident park enthusiast, and welcome more girls into the terrain parks.